From the Oswego Classic programs, "The Eagle". The 1966 International Classic was a real battle all the way. Johnny Benson of Berlin, Michigan, set a time of 19.85 sec. or 113 m.p.h. around the 5/8 oval. Bentley Warren of Glouchester, Mass. timed at 20.12 to take outside pole spot. 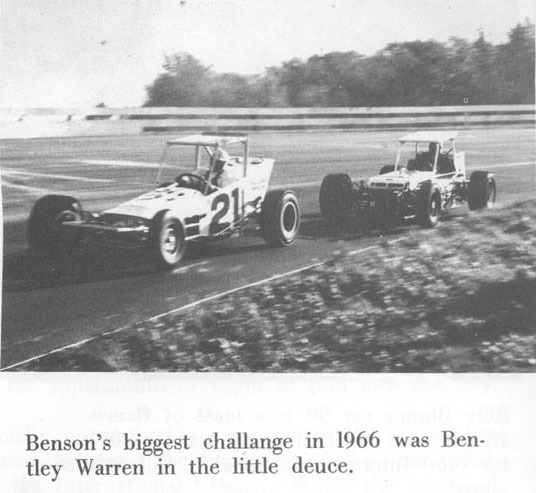 Benson took the early lead, but soon Warren came on with the deuce and went by Benson. Eventually Bentley developed mec-hanical troubles and had to pull in. 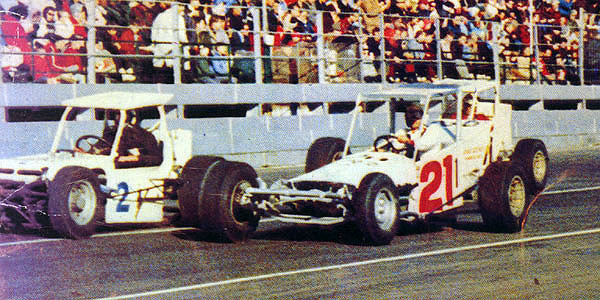 Gordon Dukes came on to challenge Benson for the lead and passed him. 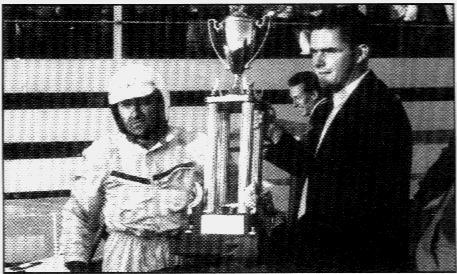 But Johnny returned the challenge and went on to take the lead again and the first place money of $5,000 for the 200 lap event. Dukes was second. 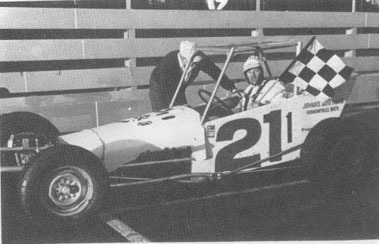 Baldy Baker, a Sandusky regular, finished third, Canadian Norm Mackereth was fourth, Jimmy Shampine was fifth, Wayne McGuire sixth, Paul Clark, seventh Al Wood Eighth, Irish Jack Murphy ninth, Jim Gresley tenth, and Jack Thomas eleventh.